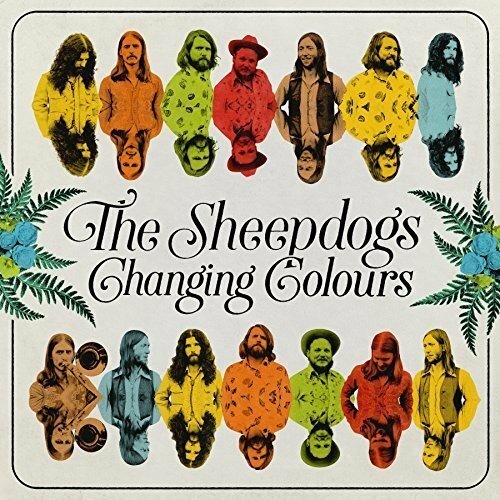 The Sheepdogs have crafted a bustling back-catalogue of albums during the course of their career - including a Patrick Carney (Black Keys) produced album - notching up three no.1 singles and earning four Juno awards along the way. Following in the footsteps of Canadian rock legends including Neil Young, The Band and The Guess Who with a bold take on classic guitar rock and polished retro-sound, The Sheepdogs came to prominence as the first and only unsigned band to appear on the cover of Rolling Stone, subsequently leading to a performance on Jimmy Fallon, a support tour with fans of the band, Kings of Leon, and festival dates including the likes of Coachella, Lollapalooza and Bonnaroo. Furthermore, the band have previously shared the stage with Paul Rodgers, lead vocalist of Bad Company and Free, won the approval of David Crosby and Steven Stills and performed at Petty Fest alongside the likes of The Strokes, The Black Keys and The Hold Steady.